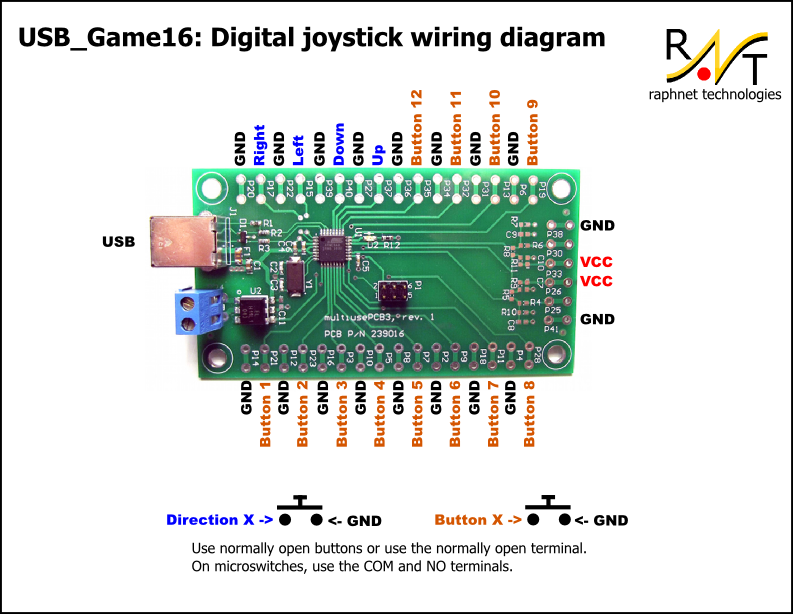 This circuit board has a total of 16 easy to wire inputs (4 directions and 12 buttons) and connects to an USB port, implementing a standard USB HID joystick. 16 inputs: 4 Directional, 12 Buttons. HID USB interface. Works as-is without installing special drivers on most platforms. (Linux, WinXP, Win7 32 and 64 bit). Through-hole solder points for easy wire installation. Widely spaced solder points helps prevent accidental bridging while soldering. 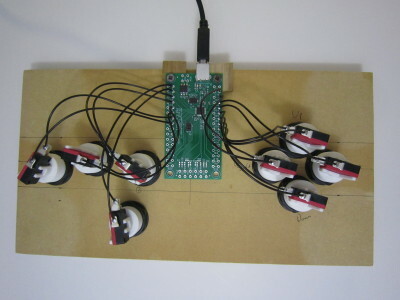 Dedicated GND signal for each button for easier wiring. No need to connect all common wires together. Double layer PCB, 101.6mm X 54.86mm (4" x 2.160"). 4.5mm (0.177") diameter mounting holes. 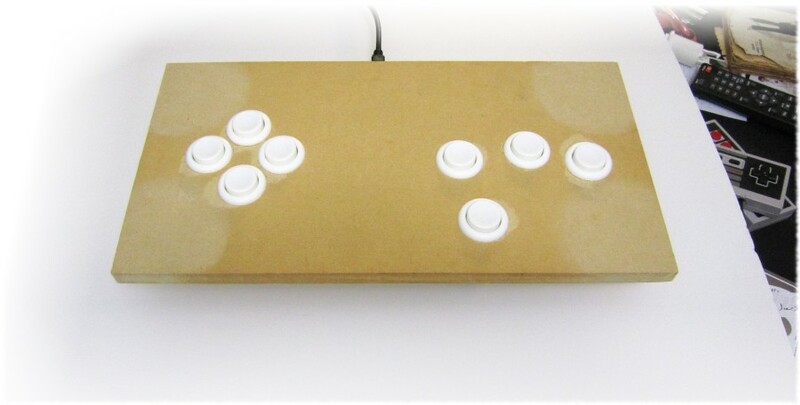 Arcade style controller box, or integration in a PC-based arcade cabinet. With supporting software on the PC side, button inputs can serve other purposes than game control. 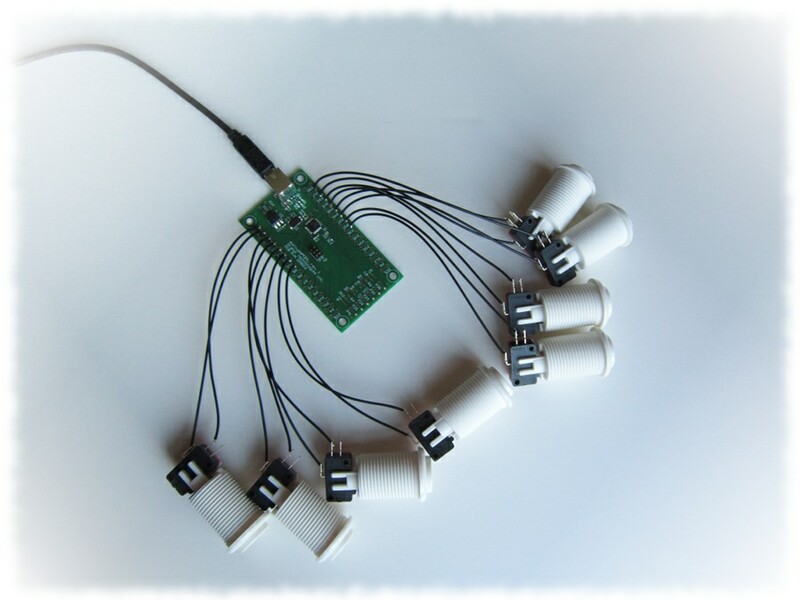 The inputs can be connected to switches, limit-switch, alarm sensors. 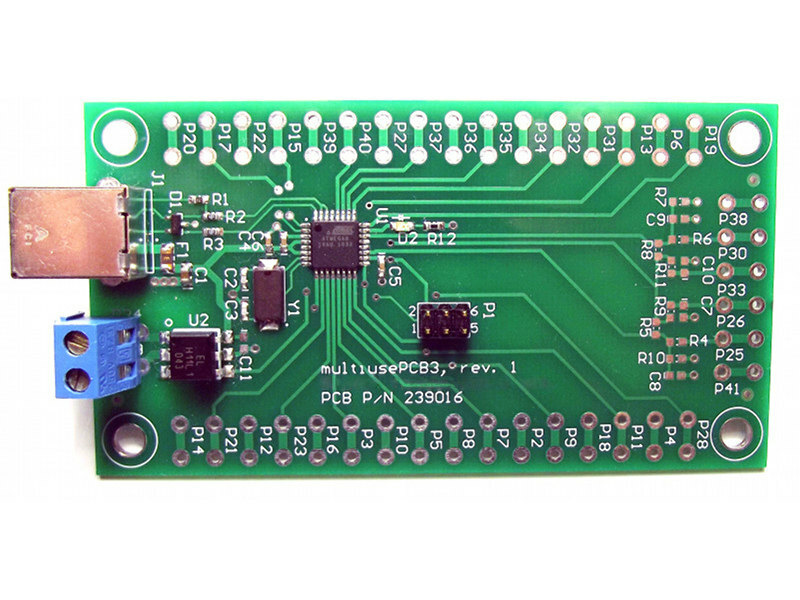 In any case, using a dedicated board such as this one is cleaner than modifying an off the shelf USB game controller. 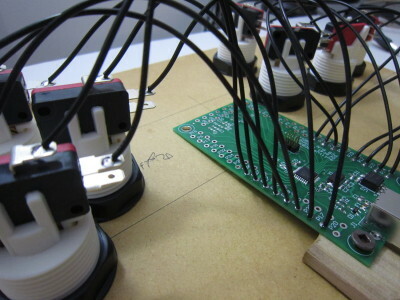 Only the assembled and programmed PCB is provided. Buttons, cables and wires are not provided.